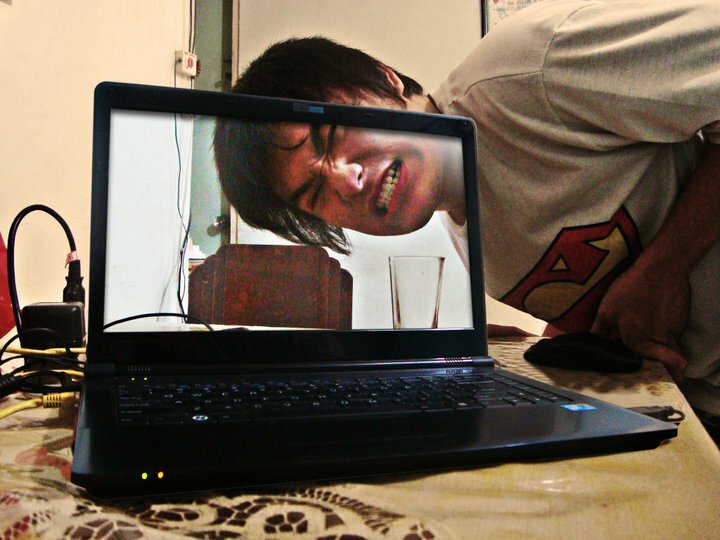 Here’s an easy optical illusion you can do to make your laptop or computer screen look see-through. The optical illusion of transparent screen is a simple yet effective illusion. These Illusions are created by taking a digital photo of your surroundings then place it as the desktop background of your monitor or screen. That way, they appear to have a fully transparent display. It kind of reminds me of the The Human Condition, painted by the great surrealist Rene Magritte, who did some paintings on an easel that has been placed inside a room and in front of a window, with the painting completing the scene in the window. Below you’ll see the 40 awesome illusionary effects of transparent display. Have fun making your own see-through screen illusions! This entry was posted on Tuesday, July 19th, 2011 at 9:00 pm	and tagged with Humor, Optical illusion, Photoshop, tips and posted in Art Attack!, ARTspirations, Humor. You can follow any responses to this entry through the RSS 2.0 feed.